This quadriplegic former high school sports star, who suffered a severe traumatic brain injury in a car crash that killed his brother, takes part in sport once more thanks to a charity and his childhood best friend. 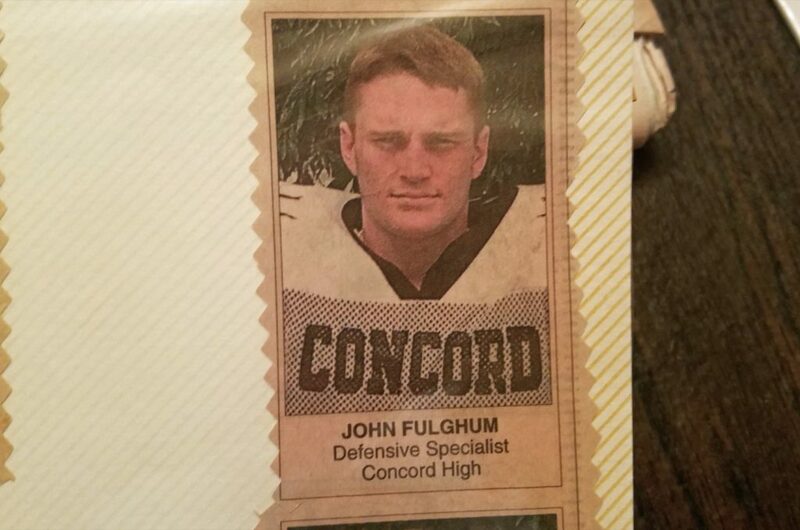 Before one fateful night on August 17, 1997, John Fulghum, from Concord, Massachusetts, USA was a thriving local sports star and musician, renowned for his success in football, running, swimming and guitar playing. 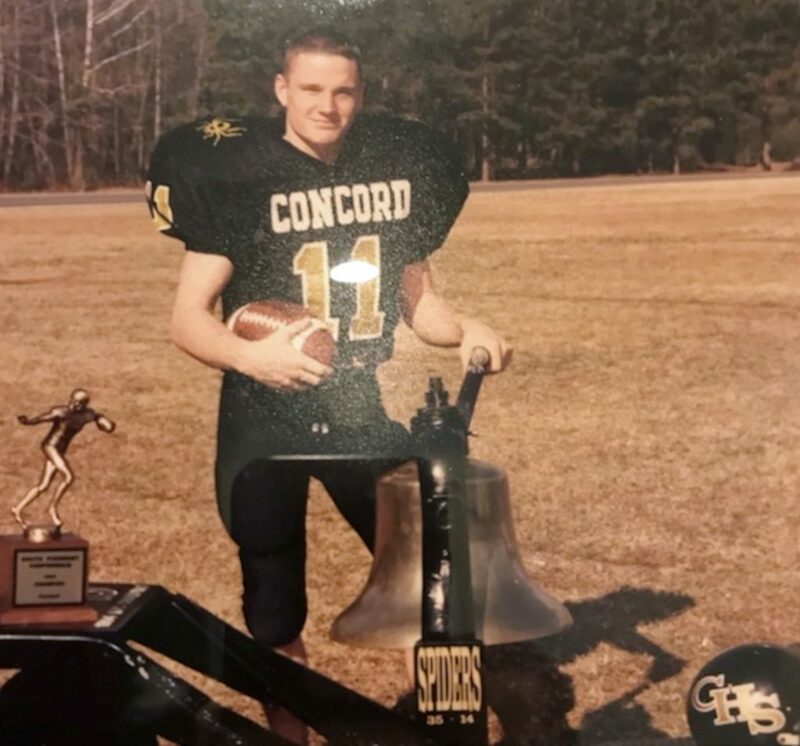 Voted ‘most athletic’ in his senior class of 1996, John’s life took a drastic change of direction one night, when visiting his brother, Shawn, in Vancouver, who was stationed there during his time in the Navy. 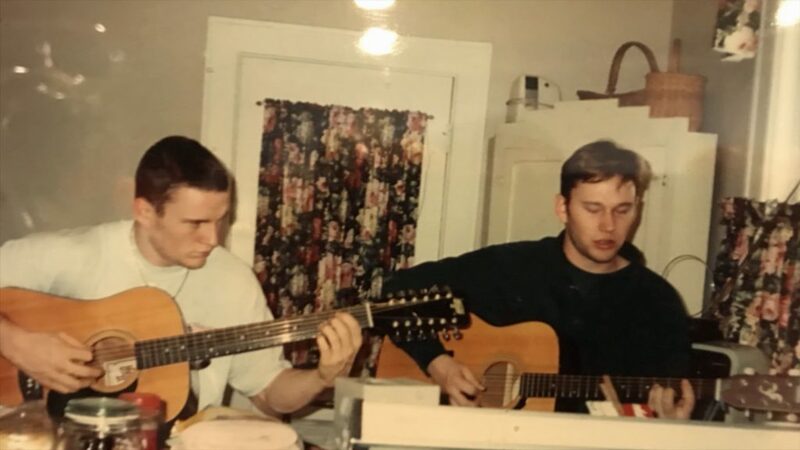 Driving in the early hours of the morning, the Fulghum brothers, along with their friend, Todd Tysinger, were hit side-on by another vehicle, killing Todd and Shawn almost instantly, while John lay unconscious, not breathing on the passenger’s side. Resuscitated at the scene, miraculously John managed to survive the ordeal, but after suffering a traumatic brain injury, he awoke from a lengthy coma into a new life as a non-verbal, quadriplegic. In the twenty-years since the tragic accident, John’s affiliation and love for sport seemed all but forgotten, until his childhood best-friend, Grey Riley, reached out to new charity organization, Speed for Need, to help him get John out running once again. 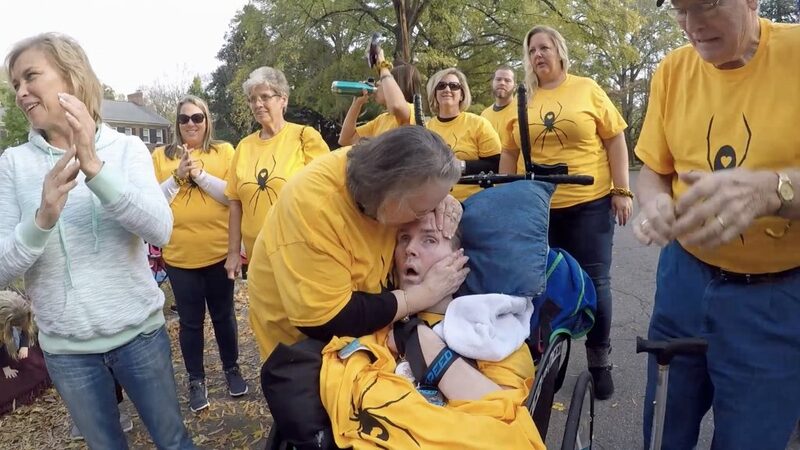 Accompanied by an entourage of former classmates, friends and family, John, with the help of Kevin Young from Speed for Need and a custom-made racing wheelchair, completed his first 5K race in over two decades, on November 18, a moment celebrated by the whole town of Concord. Grey, 39, who has been friends with John for the past 29-years, said: “I was away at college when I found out about the crash, I drove straight from Boone, North Carolina, to Vancouver. “It was an awful trip and a harrowing experience walking into the ICU to see him like that. “It killed me, it took three attempts to actually walk in the room with his mum. “Through all of this, I was unable to tell anyone that I was meant to be on that trip with John, but had to cancel a few nights before. The ‘Santa Scramble’ is an annual 5K running event that takes place in the town of Concord every year, but this year’s race would be a very special day for the whole community. 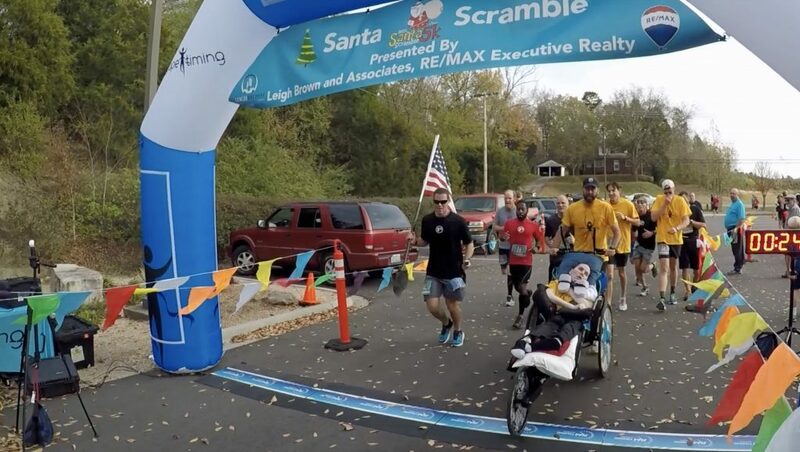 Grey said: “The idea of pushing John [around the Santa Scramble] was a no-brainer for me – he lives on the parade route and most of the city knows about his family and their story. “I posted the fact we were running the race on my old high school class Facebook page, and within minutes we had a number of willing runners, with one offering to design custom t-shirts for us all, which we wore during the race. “It really was a magical moment for our city and most importantly John’s family. “I don’t think they’ve felt anything like that in quite a while, the support from everyone was overwhelming – they’re still in awe. members of the F3 Nation, a nationwide men’s fitness group dedicated to invigorate male community leadership, and a number of the guys helped out on the day. “Speed for Need works in association with F3 Nation, and in the five months since our first race, we will be averaging more than one race a week in 2018, where we hope to help others like John. “As the creator of Speed for Need, a wide range of emotions flow through me in every race, whether it be sadness, joy, pride, love, hope – even at the same time. “As a parent of two healthy children, I can’t fathom what it feels like to be a father of someone like John who will never speak or move again.